Raghurajpur, the first heritage village of Odisha situated on the banks of river Bhargabi, is known worldwide for its Pattachitra. Bylanes of this quaint little village, where every house is a canvas, are also home to another beautiful art form—Gotipua. At the far end of the village, stand two organisations that have been nurturing Gotipua with all its pristine flavour and glory—Dasabhuja Gotipua Odissi Nrutya Parishad and Abhinna Sundar Gotipua Nrutya Parishad. World-renowned Odissi guru Kelucharan Mohapatra was a Gotipua dancer in his early days. To continue the tradition, the organisations have given the dance form a new lease of life amidst cultural apathy within the state. The Dasabhuja Gotipua Odissi Nrutya Parishad was established by late Guru Maguni Charan Das, the pioneer of Gotipua dance, almost four decades ago. Sebendra Das, brother of Guru Maguni Das, currently runs the Dasabhuja Parishad. He explains the relevance of the dance form. “Gotipua is an amalgamation of two Odia words; Goti means single and Pua means boy. 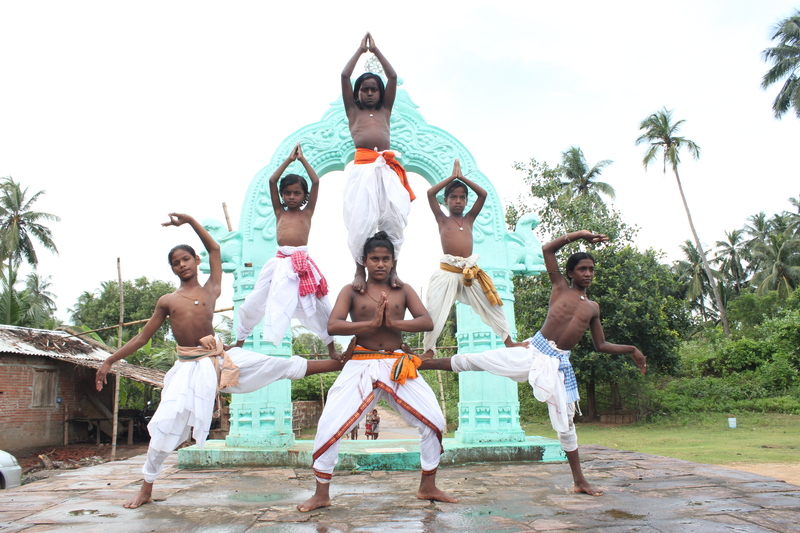 When the dance of the Maharis and the Devadasis of the Jagannath Temple at Puri disintegrated due to various reasons, young boys from various ‘akhadas’ were trained to take the tradition forward. Earlier, Gotipua used to be performed by a single boy, but over the years it evolved as a group dance.” He feels that Gotipua is a poor man’s dance. “Such is the plight of Gotipua that not many cultural organisations in Odisha provide a platform for the artistes during their annual festivals. In fact, our boys perform more outside Odisha. Even the Culture Department has stopped organising its annual Gotipua Festival that was started in 2011,” rues Pallai. It is believed that most of the grammar and material of the present day Odissi repertoire were distilled from Gotipua that originated as a temple ritual for Lord Jagannath. Movements in the two dance forms are same. The style and approach is different. The uniqueness of Gotipua is its combination of song and dance by boys between five and 15 years, who dress up as girls. They perform to verses on Radha and Krishna written by the Vaishnavite poets of Odisha. Gotipua is gaining global recognition for its rawness and exuberance. “Though Odissi got the classical status due to proper documentation and promotion by connoisseurs, no such effort has ever been made for Gotipua. It is mainly practised in villages by boys mostly coming from BPL families,” says Abhinna Parishad’s Basanta Kumar Moharana, who recently took a batch of students on a dance tour to Paris. Both the organisations follow the traditional ‘gurukul’ form of teaching and practise the Raghurajpur ‘gharana’ of Gotipua. 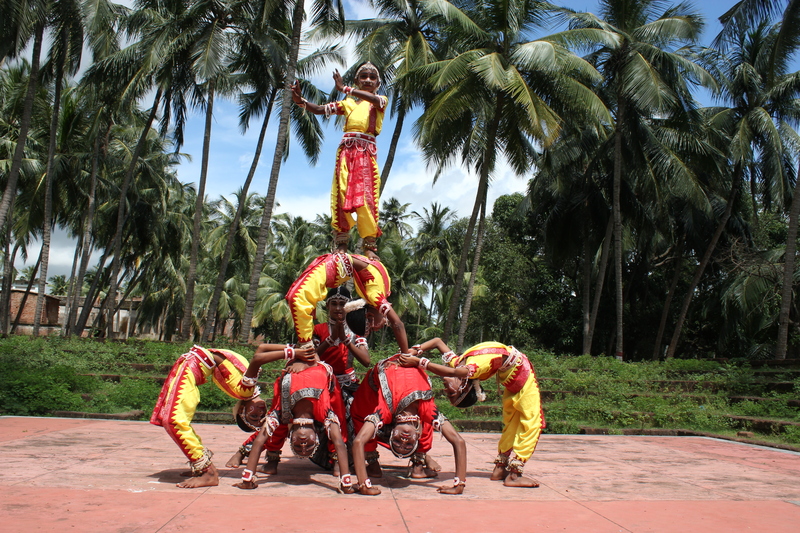 Dasabhuja Parishad and Abhinna Parishad have trained more than 300 Gotipua dancers from Puri district. Currently, 35 boys are undergoing training at Dasabhuja Parishad and 15 in Abhinna Parishad. For both the parishads, finance has been a concern. The future is uncertain. “There have been years when we have done 100 shows across the world at a stretch and at times, we get to do just 20 to 30 shows in a year. Stage shows abroad fetch good money. Besides, we earn by performing at all festivals related to Lord Jagannath like Rath Yatra, Chandan Yatra, Jhulana, Dola Yatra,” Basanta adds.